Philadelphia-based Judge Luis Felipe Restrepo can finally begin hearing cases in his new role on the U.S. Court of Appeals for the Third Circuit, more than a year after his nomination. The Senate voted Monday to confirm Restrepo’s nomination, 82-6, seven months after his last appearance in front of the Senate Judiciary Committee. 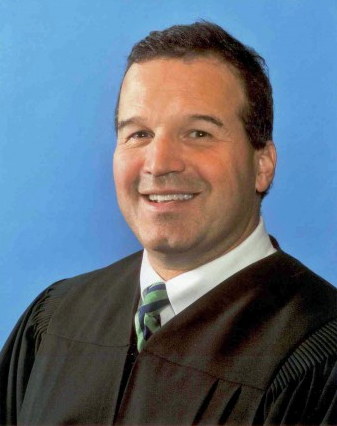 Restrepo served as a District Court Judge for the Eastern District Court of Pennsylvania since being unanimously confirmed by the Senate in 2013. Though Casey and Toomey were both celebratory in their joint press release, Restrepo’s 14-month limbo points to a much bigger problem in the federal judicial system. There are 77 judicial vacancies across the country, with 33 considered emergencies by the Administrative Office of U.S. Courts. Thirty-four nominees are pending confirmation by the Senate. Only 11 federal court nominees were confirmed by the Senate in 2015, the least since 1960. “Justice delayed from lack of judges is justice denied,” said Glenn Sugameli, founder of the Judging the Environment judicial nominations project, with the number of vacancies up by more than 50% over the last year. “There is no justification for the extreme delay of today’s Senate vote on Judge Restrepo’s over-one-year-old nomination to fill a U.S. Courts-declared judicial emergency vacancy,” Sugameli said. Vermont Sen. Patrick Leahy – current ranking member and former Chairman of the Judiciary Committee – hit out at his GOP colleagues for their attempts to stall judicial nominations made by Pres. Obama. Congrats on your Nomination as a Judge to the US Appeals Court. The Repervlicans will stop at nothing. They don’t love America – just their warped vision of America.